All WILDWOOD homes currently listed for sale in San Antonio as of 04/23/2019 are shown below. You can change the search criteria at any time by pressing the 'Change Search' button below. "Honey we are home! Come view this beautiful two-story home nestled on a corner lot in a quiet neighborhood close to amazing shopping centers. Beautiful laminate flooring and tile throughout the property. Spacious shed in the backyard. Well kept home, In an established neighborhood with great schools. Contact your agent today! This beauty won't last. Update: Property Recently renovated to include the kitchen, & bathrooms.ALL NEW GRANITE, BACKSPLASH TILE, LIGHT FIXTURES, FAUCETS, AND MUCH MORE." "Beautifully renovated spacious SINGLE STORY home with 3 bedrooms & 2 baths. This home features high ceilings, Two living areas, one dining, open kitchen & Family room with huge fireplace! Location of home is near shops, doctors office, and grocery store, Bandera & 1604 and 410." "Immaculate Condo. 2 BR/2.5 baths W/one car garage, Balcony in the first floor and second floor. Completely updated. Granite counter tops in kitchen and bathrooms. Brand new stove, dishwasher and light fixtures. New carpet in bedrooms and wood looking title floors. Master bedroom with outside access to the balcony. Good size closets and storage space. Ready to move in! 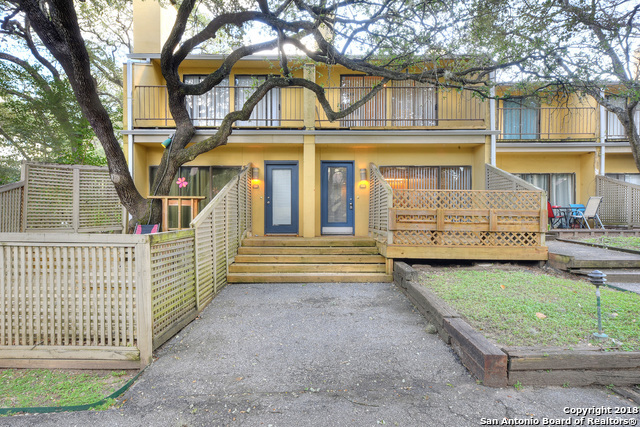 Great Location close to Medical Center, IH10 , 410 , La Cantera , UTSA , Downtown , 1604 , etc.."